Zippo Classic Howl At The Moon Wolf Lighter | BUDK.com - Knives & Swords At The Lowest Prices! 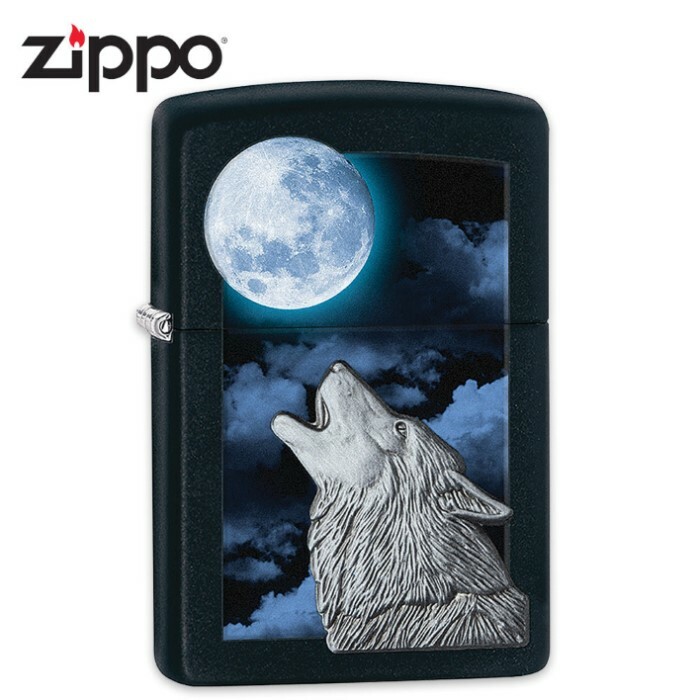 Color imaging is used to create a misty full moon in the night sky, while an attached emblem completes the design with a textured wolf protruding from this incredible lighter. It also has the Zippo lifetime guarantee and is made in the USA. You just can’t beat a Zippo when it comes to a great, high-performing and long-lasting lighter because they truly have set the bar.